(Washington, D.C., September 18, 2012). Over a year ago, in late April-May 2011, Palestinians posted Facebook pages that called for the destruction of Israel and the annihilation of Jews worldwide. These so-called "Intifada pages" caused the death of some Israelis and fellow Jews around the world. 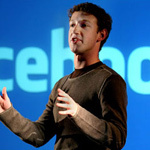 At the time, when Facebook failed to take down the pages, the government of Israel formally called upon Mark Zuckerberg and Facebook to do so. However, citing freedom of speech protections, Zuckerberg and Facebook initially refused to do so and left the pages up for weeks, causing more harm to Jews and Israel. During this period, President Barack Hussein Obama said nothing about this internet attack on Jews and Israel and did not call on Zuckerberg and Facebook to take down the pages. This is in contrast with the Obama White House's recent request to Google to take down from the internet the film produced by alias Sam Bacile, as well as what are trumped up charges, obviously instigated by the Obama Justice Department, that Bacile violated his parole. In this regard, Bacile was recently and not coincidentally filmed being arrested, obviously an event arranged or furthered by the Obama administration to try to placate Muslims. This arrest was broadcast worldwide for all Muslims to see. 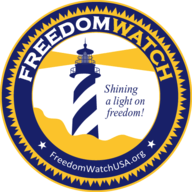 On May 10, 2011, the founder of Judicial Watch and Freedom Watch, Larry Klayman, sued Zuckerberg and Facebook for their furthering threats against him, a Jew and a Zionist, by radical Muslims bent on harming and killing Jews. This case remains pending in the U.S. District Court for the District of Columbia (Case No. 1:11 — CV-00874 — RBW). "It is clear that when it comes to Muslims, President Obama is very protective, but when it comes to Jews and Israel, he turns a blind eye. This, and a host of other actions, are why a large portion of Americans believe that Obama, whose father was Muslim, is in reality one as well. This conclusion regrettably helps explain Obama's weak response to Iran's efforts to build nuclear weapons to use against Israel, and Israel's conclusion that under Obama it has has lost its American ally and is now forced to act alone to remove this threat," stated Klayman. Contact Adrienne Mazzone at 561-750-9800 x210.